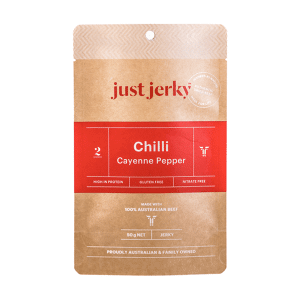 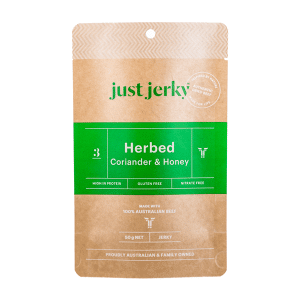 An authentic beef jerky snack made from the primest cuts of Australia’s finest beef and marinated in a delicious blend of pure spices and natural sauces to ensure a tasty and tender jerky experience in every bite. 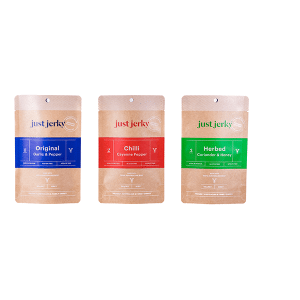 Featuring the very best handpicked ingredients, Just Jerky’s ORIGINAL beef jerky is bursting with the bold flavors of allspice, garlic, soy and rice wine vinegar. 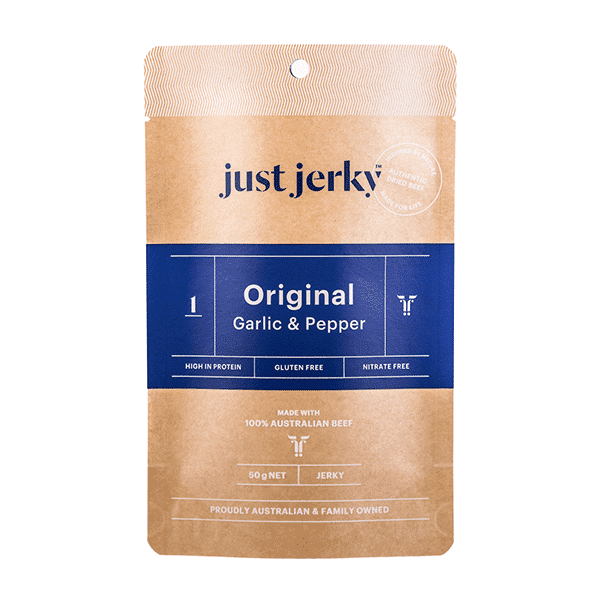 Rich in taste and boasting an irresistibly perfect texture, Just Jerky ORIGINAL is the complete high protein snack for to share with the family or add to any meal.